Once installed, Air Scrubber Plus® goes to work right away by copying the power of nature outside to clean your home inside. As air passes through the unit, it is transformed by our unique technology. 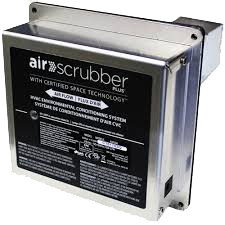 ActivePure™ scrubbers then travel through the ductwork into every corner of your home, effectively treating and purifying the entire house. Learn more by watching the video below.